Flashes of Style: Opinions, Please? Hello dear friends! As another year of blogging is about to wrap up, I couldn't help but ask myself... what exactly do my readers want to see? 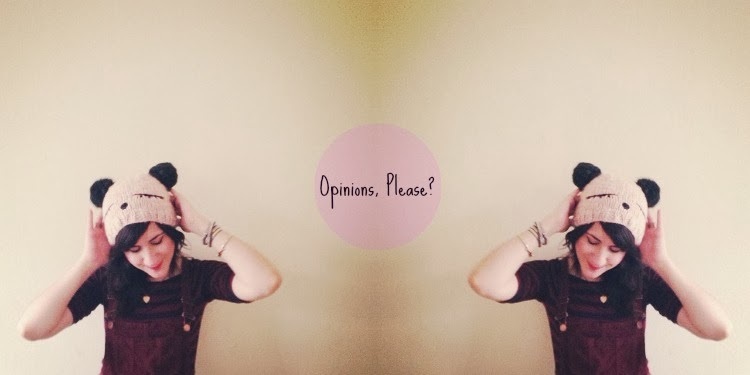 I love you all and value your opinions so very much, so here's an opportunity to leave your comments and thoughts on what you'd like to see more of on this blog! Is it outfits? Photography posts? NYC adventures? DIY's? Beauty? Whatever you have to say, I want to hear it! I absolutely love all of the things you post and those ideas you've listed up there. Though I would love to see more beauty posts! I would like to see more NYC adventures and outfits. You're blog is the best blog I follow, everything is good, you really inspired me for outfits, music, way of life ..
DIYs on how you make your beautiful flower crowns, and recommendations for music, books and film because you seem to have great taste! Maybe a room or apartment tour? diy and something like draw my life. also, you could take us with you shopping both to thrift shops and general shops. another idea could be make up tutorials? Photography posts! Specifically, photo tutorials, like how you shoot your pictures, how you edit them, filters you use, etc.! Also, photo tutorials would be great! I love your outfit and NYC adventures posts! Being from London it's so refreshing to see photos from across the pond! Your hat is adorable! I hope you'll blog about whatever you feel like sharing at the time and whatever suits you. I have always loved your most ultra-feminine girly fashions and the privilege of seeing your apartment, but I also enjoy your beauty posts, beauty and fashion discoveries, reporting, adventures, food, seeing you having a good time with your friends, seeing your photos and reading whatever you write. Whatever you blog about I hope you enjoy sharing. I hope your holidays and the coming year go beautifully for you. Beauty Posts, perhaps some tutorials of makeup hair and outfit looks would be amazing! :) <3 Thanks for being my favorite blogger ever Bonnie! I would love some photography tips! I really love your photos and any advice would be great! Keep up the great work Bonnie, you really are an inspiration to so many people! Hello Bonnie! I have only recently started reading your blog and ended up spending all night going through old posts - I loveeee your content! I really love the idea of more posts with photography advice, beauty, more videos (I watched your hair tutorial and loved it! Your so personable), and I love love love seeing glimpses of New York City through your lens! I don't know what kind but any videos?? Happy new blog year! :) First of all, your blog is one of my favorites. I find it very inspirational, especially your outfits. So those are my favorite posts! But I like Anne's idea of videos as well! And I also like your NYC posts a lot! I'm going to NYC probably in fall 2014 with the boyfriend, so any tips on what to do in NYC apart from the regular tourist stuff would be very welcome as well! photography and DIY match you so well! more. Talk about the places you went and take nice photos. And your outfits are amazing never stop posting! I'd like to see more in your writing. Maybe more about your life and who you are? Your outfits are PERFECT, but all I know is you live in brooklyn, have a cool job, pretty friends. I feel there's got to be more depth there. NYC adventures and stories.D! But you're outfits are great idea too.D! Hi Bonnie, big fan! Although Ilove what you're doing, I'd love to see more NYC recs/adventures, makeup tutorials, and maybe some cheap shopping guides? Happy Thanksgiving! I honestly love your blog the way it is! I really like the pictures you have posted for what you did during the week. :) I enjoy your photography! I love your outfit posts, but I wish that you included more pictures of your adventures and every day life.